By now, I’m sure you know how much I really enjoy Apologia products – and the most recent review product I received from them is no different. Journeys of Faithfulness by Sarah Clarkson is a book geared for ages 12 and up (although a mature girl could work her way through it as well) for moms and their daughters. In 232 pages girls will read accounts of Mary and Martha, Mary, the Mother of Jesus, Esther and Ruth and using historical fiction will see how God can and does love girls just like them – they will dig into God’s Word and hopefully come away with a much stronger knowledge of their relationship with Christ. If you’re like me, you may be leery of handing your daughter, a fictionalized historical account of Biblical women and stories – however put your fears to rest. Unlike other books Sarah Clarkson does not add to or take away from God’s Word but makes it come alive to His daughters. In fact I felt more emotion in relating to these women of the Bible, than just reading the Biblical accounts – because sometimes we don’t get to ‘see’ all of what they are going through. 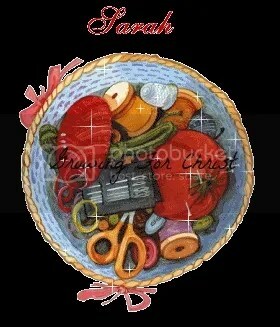 We meet Mary and Martha and we know their story but do we really know them? After reading the story you and your daughter will work through a devotion – either alone or together. I prefer to do it apart and then come together for discussion, or if your daughter is very private have her leave her thoughts in a journal where you can read and leave comments and vice versa. After the devotional reading that relates your daughter’s modern life to that of the Bible woman’s life and to God there is the Bible study. The Bible study has 3 to 4 Scripture readings with some things to think on or put into action – there is plenty of space to write under the Scripture reference or you can use the included journey journal pages. Of course, you can also use the idea above of using a separate journal that is shared by both mother and daughter – what a great way to not only strengthen the relationship between the Lord and your daughter but also you and her? With Christmas around the corner I think this would make a great gift for any young lady who is needing to get more out her relationship and how the Bible and God relates to her life. I really want to continue on in this study with my 10 year old and hopefully again when my second daughter gets old enough. If your daughter isn’t grounded in the above characters you may want to go over them with her before giving her the book so she can decipher what is historical and what is fiction and how it does tie together. This book is definitely one that each young lady who yearns to lead a life pleasing to the Lord can glean so much from. You can purchase the book at Apologia for $13.00 and they also have a sample chapter and table of contents available so you can preview before you buy. If you’d like to see what other homeschool parents thought of this book then please visit the Schoolhouse Review Crew blog. I enjoy reading to my children, from the moment they were born I was reading to them. I have enjoyed books for many years, and I think that stems from my mom having read aloud to my brothers and I from our youngest years. Even my oldest, at 10 1/2, still enjoys it when I get a great book from the library and we begin, as a family to enter a new world. Of course, there are times when I can’t read – I may be feeling ill, or driving, or need to get something done around the house and that is where Beloved Books comes into play. 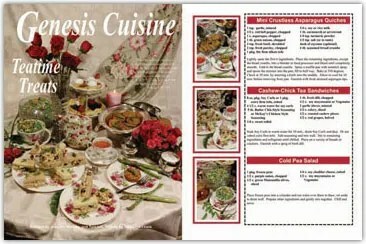 Each volume has six stories on 12 CD’s and there are six volumes that will give you over 100 hours on 72 CD’s. I’d pop a CD in while driving somewhere or if we needed a break from our regular school day and we were still learning. 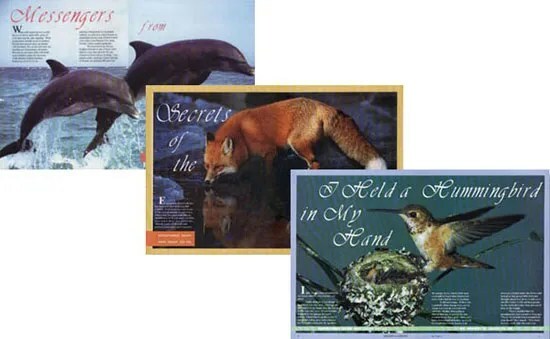 There is nature study going on, as well as Christian and godly character traits, Scripture verses, poetry, adventure and much more in these stories. Even though the main characters are all boys, my girls loved listening to the stories and I must admit hearing the story of one of the boy’s dad’s giving his life to the Lord choked me up – not good while you’re driving! If you want your child to step back in time, and enter a way of life where wrong is wrong and right is right. Standing up for those who are in need, sharing the love of Christ and not being afraid of being a boy who goes to church – then the Sugar Creek Gang audios are a great choice. Good for all ages, my children are 6, 8 and 10 1/2 years old, and they were enjoyed by all – including me (my husband isn’t in to audio adventures as we are) and it’s available for $54.95 with free media rate shipping. If you’d like you can also buy the first story, The Swamp Robber, for $4.95 plus free shipping so you can try before you buy. I cannot say enough how much we did and are continuing to enjoy these CD’s and my son is even requesting other volumes for Christmas! 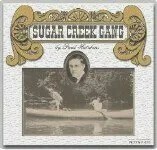 If you’d like to see what other homeschool parents are saying about the Sugar Creek Gang audio CD’s visit the Schoolhouse Review Crew blog. I’d like to introduce you to Samson’s Classroom that is geared for grades K through 5 and encompasses sight words, reading and spelling. Samson’s Classroom is an “umbrella” product which means you’ll have access to all the products and your child will get a lot of practice for each area all without having to leave to go to another website. Samson is a cute dog that will appeal to both boys and girls as they go through the learning process. With sight words children will learn 224 commonly used words in the English language. In spelling with Samson there are 5,o00 and going words included for this area and children will better improve their spelling skills. Finally, in reading with Samson each child will read a passage of text and answer questions that pertains to that text to establish reading proficiency. They will earn different prizes depending on what area they are in, such as for reading the child will earn hammer swings which they use to earn hammer points competing for a space in the top 5. The two favorite of all three of my children were the sight words and reading. In the sight words area they work through one of 4 levels, each level has seven lists of sight words in varying degrees of difficulty. Within each level there are 5 areas to be completed such as: learn words where the words are said and spelled, build words where the words are said and the child must spell by clicking on the right letter in the right order, identify words several words are given and the correct one must be given, quiz, and treasure hunt challenge where for each one correct the child earns a jewel. I used this to reinforce what were already doing in our current studies although my oldest daughter who is in 5th grade found the reading selections too easy as well as the sight and spelling words. However, my non-reading son and middle daughter found each area to be challenging that I felt that they were learning. My only issue with the site is that since most children aren’t proficiently reading in kindergarten that the reading area for the lowest level should have the ability to turn on or off voice so that a non-reading child can hear the passage and still answer questions regarding the passage. If you think this is just a fun educational game there is more to it than that – in the resource area under sight words parents and children can find lesson plans that go along with the lists such as flashcards, bingo, kaboom, recall and more games that make learning fun and get the parent involved. There are printable PDF documents that will also add a worksheet flair for those students who like and learn from seat work – and as a way for the parent to document progress. Finally, there is the toolbox which has more printable sheets geared to the parent such as a manual grade-book, word lists and awards. Even though my children didn’t prefer to play the spelling area I had them try it so I knew what it was about. You, the parent, can make lists for your child if you want them to have lists that are based on current studies you are doing or you can chose the random lists based on the site generated lists. There are four games for each list like, the study area which helps the child to master the list. It will open a list and then the child clicks on it and can have it spelled, said and used in a sentence. The next game, which was my son’s favorite, is missing letters where Samson karate chops his way through the list, then there is spelling scramble where the word has to be spelled while avoiding a tarantula (we couldn’t get this game to work on our computer but from watching it it appears fun). Lastly, there is the game crunch time where your child has to avoid Wally the Walrus and keep Samson dry and is especially fun to do. My children, at least the younger two, are still asking to play Samson’s Classroom and I think that is great! I’m hoping as my son learns more of his phonics rules he’ll be able to play on his own but for now I have to help him and explain certain areas that don’t quite make sense just yet. Samson’s Classroom offers a variety of pricing options, which is great for a family who may only need it for one child ($30.00 per year) or has multiple children who could use it ($50.00 per year for up to 4 students) and even a classroom option and more. If you’d like to see what other homeschool parents thought about Samson’s Classroom visit the Schoolhouse Review Crew blog. Most of the time Bibles that are geared for children are too young or written so far above their age that even the information tends to be more than needed. 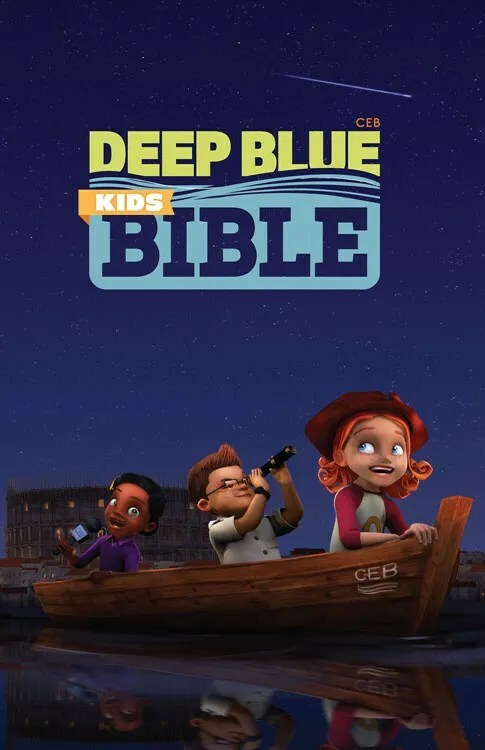 With the Deep Blue Kids Bible (CEB) that is geared for ages 8 to 12 that isn’t a fear any longer – all three of my children, including my 6 year old son enjoyed using this Bible as we came across Scripture reading in our school day or just for our daily Bible reading. Your children will go through the Bible with Asia, Kat and Edgar as they delve deeper into God’s Word on their level. Umbrella – explains how negative emotions and traits aren’t good for any of us and how the Bible can help us through them. Navigation point verses are outlined and if your child memorizes all the verses listed they will have memorized 145 Scripture passages! The beginning of each book will give you a brief synopsis of what the book is about as well as what they’ll discover, people they’ll meet, places you’ll go and words you’ll remember. The Common English Bible (CEB) is in a readable and familiar modern language which for the younger child will go a long way in early understanding of God’s Word. I use the CEB as well and I so love having this on hand for my children, whether it’s for school, devotions or church – it’s fantastic. While I do think it’s a great Bible I also must say I have a couple concerns the first being the fact that instead of using “son of man” the CEB uses “human being” – while Christ was in fact fully human He wasn’t human like you and I because He is also fully God. Another issue is that the use of BCE (Before Common Era) and CE (Common Era) has replaced the traditional Christian unit of time – Before Christ and Anno Domini. While these issues may be more personal ones I know that some of my other readers will appreciate these facts going into the Bible. Even with the concerns that I have with the Bible I do think that the CEB can be useful for children who want the freedom to study the Word on their own and be able to understand it. Some of the nuances that I’ve pointed out can open up discussion among parent and child as to what each family believes and why (we still use BC and AD) as well as using it as a learning process. Children will delight in having a Bible that they can understand without having to wade through language, that to them, for now, is outdated. 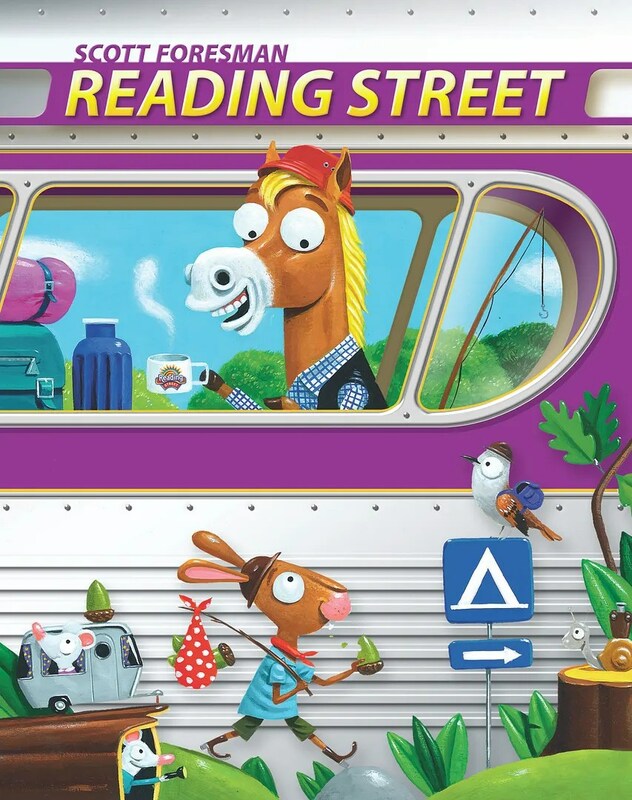 Pearson Education has been providing textbooks to schools and they have now entered into the homeschool market and I was given the Reading Street Grade 3 set to use in my home with my 3rd grade daughter. Before I tell you what we thought while using this program I’m going to tell you a little bit about Reading Street Grade 3 before telling you what we thought about this curricula. The first part is the Guide on the Side which is as it says on the cover “a customized literacy approach for the third grade teacher.” There is a lot of information in this book, which is written for the class room teacher, more than the homeschool teacher. It explains how to use this curricula for a classroom complete with break downs for times for each area of study such as phonics/reading, writing, comprehension, and vocabulary. This proved a bit confusing and a bit more information than I needed to use this with one student – I liked the research findings – but overall I didn’t see this as something that aided me in teaching as there were no suggested lesson plans for a homeschool parent and really nothing to help the homeschool parent organize how to use this in the home. Next are the text books themselves, there are two for Reading Street Grade 3, and they are just like what you’d be handed in school. Beautiful hard covered books, complete with a space to record students name and condition of book at the beginning and end of the school year. They are colorful and with the large print they are easy to read for the child who is at reading level or struggling with being at grade level. Each week has a theme so for unit two week 1 the theme surrounds plant and animal structures and everything the child is learning about will revolve around that theme. The last two components of the set are the Teacher’s Resource CD and the Exam CD, both run once they are inserted into the disc drive and are easy to navigate. If your child likes to do worksheets then the Teacher’s Resource CD is perfect, as it contains all the needed worksheets for each lesson/week along with the answers for the teacher. The Exam CD is just what it sounds like, it allows all tests, exams and assessments to check on the students learning and other areas of comprehension. I was very excited at first when I found out I was going to get this to review, although after reading the Guide on the Side I became very confused at how exactly a homeschool family is supposed to utilize this – I don’t spend an hour or more on teaching reading/writing/literature and to me it seemed like it was just very ‘school’, which I do my best to avoid. My daughter did enjoy the colorful book and the easy to read stories, some of which I thought were too easy for a third grader and were not what I would consider high quality literature. I picked and chose what we’d use each week and still keep it within the four day school week that we use. I looked through each week and decided what my daughter needed to work on, mostly skipping the phonics as some of the skills I was not sure what they meant such as CVC. Concentrating on vocabulary, spelling, reading and writing skills versus the phonics – which if your child needs that or you want to teach it is included. I didn’t use a lot of the worksheets because my daughter gets easily stressed with lots of worksheets and for the most part it seemed to be more busy work, but if your child enjoys worksheets there are plenty of them and they are easy to print off from your computer. While I liked the product it needed a lot of tweaking and a lot of reading on my part in order to make it usable for a homeschool student. Since I believe that reading, spelling, vocabulary and even writing can be easily learned through literature and being read to instead of through text books and worksheets. I can see where the first time homeschool parent could definitely utilize this, or a family whose children are coming out of a school or even a homeschool parent who used to teach in a school and needs this kind of program. I prefer a more streamlined and laid out curricula instead of one that needs a lot of tweaking and prep work on my end. Yes, we liked it and we’ll probably continue to use it as a reader for practice and I may use it for my son when the time comes as he likes worksheets. If you’d like to see what other homeschooling parents thought of this and other Pearson products visit the Schoolhouse Review Crew blog. 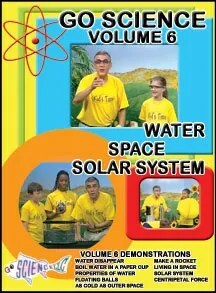 Price: $19.95 per DVD; PDF educator’s guides are $299 for the set of 6 or $69.95 for an individual title. Annie Crawley the creator of Dive Into Your Imagination has a love for the ocean and it’s inhabitants – this is seen through her work as a dive instructor, underwater photographer and dive instructor. Her desire is to have all parents and children fall in love with the animals of the sea so that we in turn can learn to protect what we love. She has 5 DVD’s such as the Camera Coach, Visions of the Sea, What Makes a Fish a Fish?, Who Lives in the Sea and Dive into Diversity all of which shows her love for teaching others about the ocean. 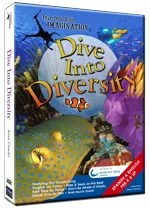 Dive Into Diversity was a very entertaining DVD, not that it was entertaining in a funny way, but I was as interested in the subject area and learning about creatures with Annie Crawley’s narration – such as the beautiful nudibranchs. In just over 40 minutes I felt like I had taken a dive myself into the oceans depths without ever leaving my living room. The colorful footage and sometimes even in your face movements had me wanting to touch the hammerhead sharks and hugging a seal! Along with the beautiful DVD there are educator’s guides to have some follow up activities to watching to really sink in the lessons learned from the video. Each chapter is based on a segment of the DVD so you can choose to watch the whole video or watch a segment at a time while focusing on the guide. I will say the guide is mainly written for the school teacher but could be adapted for the homeschool family as well, although the price is a bit more than I would honestly pay. The guides are a great way to follow up with what the child has learned and it covers the following areas such as general concepts/topics to teach, character education (puts a lot of emphasis on self esteem for me), imagination play script, book list, and more. While I value the educational and beautiful teaching on the DVD I must say that I also must say a word of caution. As a Christian I believe it’s our duty to take care of God’s Creation – but it’s not the end all and be all of our existence – and at points it seems there are references made about how we must all be in balance and protect our oceans. One of the activities in the guide says to have the children learn a mantra about not throwing stuff away and reducing our amount of trash. While this is all good in theory, some is hard to practice and I have a hard time teaching my children mantras of any kind. There is also a brief period where Annie is in a bikini while she gets suited up and some of the children are as well. Overall, this is an exceptional learning DVD for both parents and children and it comes with three tracks, English, Spanish and music only. My children really enjoyed this and even my son asked if we could watch it again. When I told him we own it, he was very excited to know that he could indeed watch it again. If you’re child likes learning about the ocean, it’s inhabitants and the beauty of it then I do recommend these DVD’s for the educational value that they contain. **Disclaimer: As a member of the TOS Crew, I received this product, at no cost to me, in exchange for my honest review. All opinions are mine. 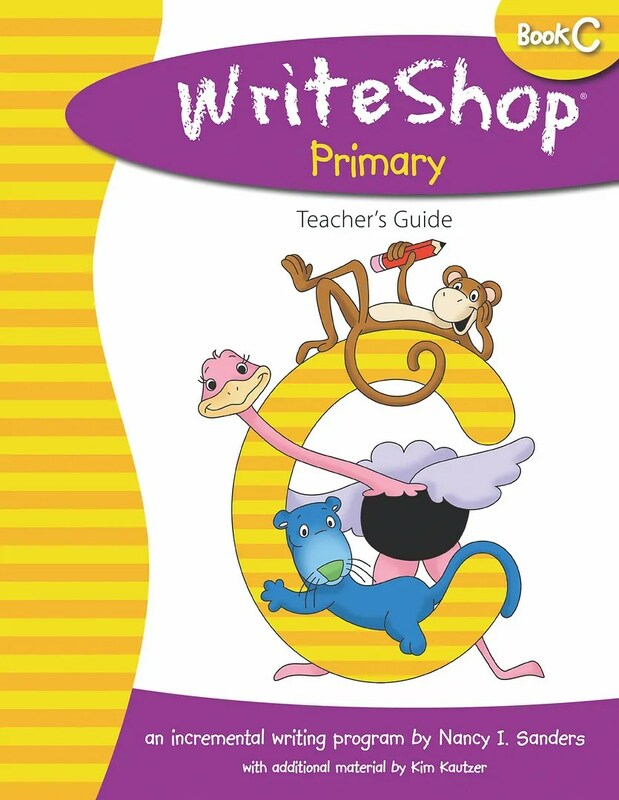 My 7 year old doesn’t like to write, well she likes to write but it is hard for her, unlike her older sister who it seemed to come naturally too, so in light of this I jumped at the chance to review Write Shop Primary Book C. Book C is to be used for above grade level 2nd graders, no prior/limited/writing at grade level 3rd graders and/or no prior or limited experience 4th graders. Bethanne is a 3rd grader but has no formal prior experience with writing a story, this I am at fault for because of writing being stressful for her. She loves to write stories but often times her hand hurts, she doesn’t write small or very legibly, etc – so I was hoping that Write Shop Book C would encourage this. All you need for this is the teacher’s guide, which tells you everything, and then some on how to get started. They give many different lesson plan ideas such the three week, two week and one week lesson plans. We gave the one week lesson plan a go and I’ll say that for myself and my daughter this was not the way to go – I’ll explain more in a bit. 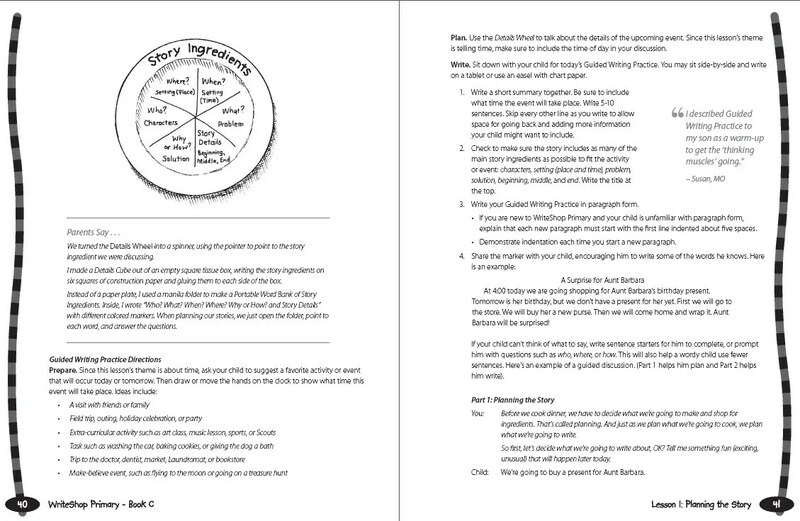 The teacher guide gives scripts that will help the parent who struggles or feels uncomfortable teaching writing, although you may want to proof read as my daughter did not follow the script (they aren’t supposed to but that is how my mind works). The first 34 or so pages go into great detail about teaching and using the program, prep that needs done, and additional supplies. As I said above I chose the one week lesson plan, which worked great for my needs and wants but went way too fast for my daughter. By the time I realized this was what the frustration was I was to enmeshed in the schedule to back track and slow down. The other frustration was the guided writing process – my daughter absolutely did not like this part and while I know this is a big part of the curriculum, I did like most homeschoolers do, I improvised and did away with the guided writing practice. Once we forgot that part, things went much more smoothly and Bethanne enjoyed the process. Also included is an Evaluation Chart to track your child’s progress through each of the lessons. These will help you see where your child is doing well or needs improvement so you can help them learn those necessary skills. This is a very thorough writing curriculum if your looking for an in depth and teaching intensive curriculum. I did feel there was a lot of preparation needed on my end and with three children to teach I don’t have a lot of time to devote to teacher prep but all the preparation has a purpose and my daughter enjoyed the tools that I made to make this curriculum fun and work for us. 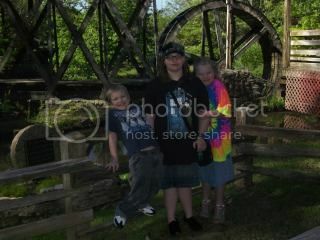 To see what other homeschool parents thought visit the TOS Homeschool Crew Review Blog. CapJaxMathFax is fun, computer based math fact drilling program that has several ways to use it. As the parent/teacher you don’t have to do any generating, you simply input what guides you want the child to use, such as just addition or any combination of addition, multiplication, division, and subtraction. I will begin by saying that the CapJax program is very easy to install – either via download or with a C.D. 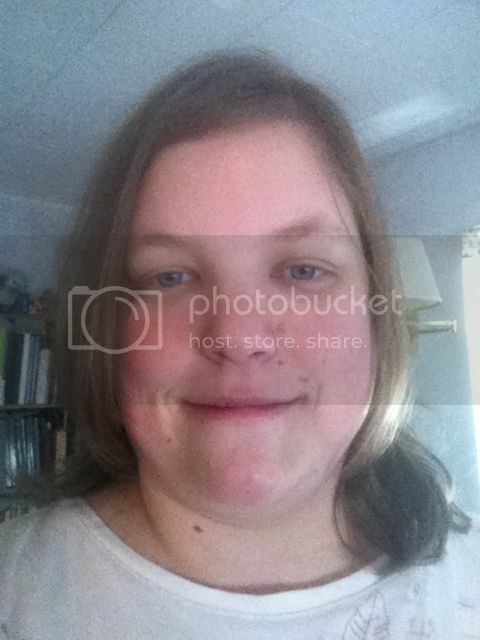 that is shipped to your house. After downloading the license agreement you then download the actual program which took only about 20 minutes from start to finish for me. 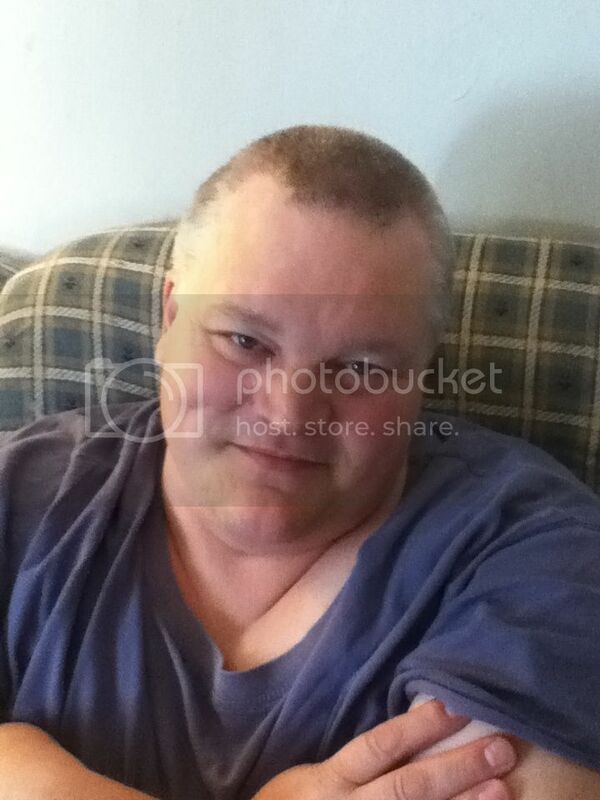 Any questions I had about the program and downloading it were promptly answered via email. 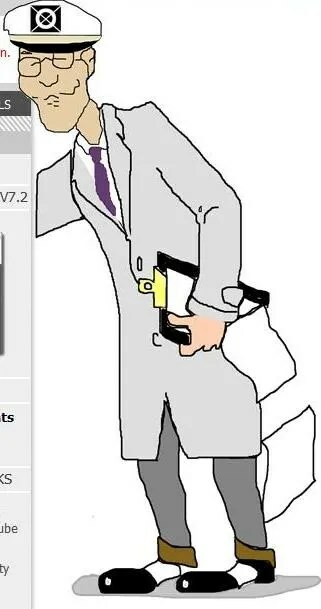 At first I thought the animation quite crude but again, sometimes it takes me awhile to put two and two together, so once I understood it’s a sailor motif and sailors are rough around the edges (I should know, I used to be one), this program does give a sense of being at a beach side shack. To begin you or your child will enter their name – then you, the parent, will set the parameters for your child’s time on the game. 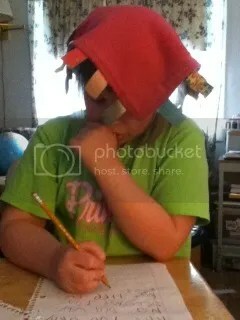 Choose which facts need drilled, what level (1-9 for add and subtract and 1-10 for multiply and divide), do you want them to do twelves, negatives, single level, word thinkers, how many facts in a set then decide how many seconds you’ll give – anywhere from 3 up to 10 seconds and then you can decided if it’ll be play for rating, practice or keyboard practice. Once you decide that then your child will be able to begin their math drill. Once your child finishes their drill you can then print off a record of their achievement, which is great if you need to keep track of what they do in a year for an assessment. You can also access a detailed report which will tell you the problems given, how long it took to answer it and if they got it right. This can also be printed if you prefer a black and white print versus the bright and colorful one that is more geared to get the child excited about their progress. There is also a progress graph that you can view and also print if you like, to see how their progress goes up or down accordingly. If your child isn’t completely comfortable using the computer, you can have your child start with the keyboard practice which is them simply entering a number and hitting enter. Once the child gets a super they are ready to move on to working on the actual drills. My 7 year old enjoyed using this program and it did seem to really help her retention of math facts and helped us get more quickly through her school work in math. My 10 year old wasn’t as impressed and my 5 year old got easily frustrated since he hasn’t began working on math facts – but I’m sure he’ll be enjoying it once we get to an area in math where he is learning addition. I think this is a great program if your wanting to have your child be drilled, in a fun, non-frilly way and improve his or her time of bringing those facts to mind on a second recall. While my daughter did enjoy it I think it will appeal to boys as there isn’t your typical girly stuff around but it’s definitely usable for both boys and girls and a variety of ages and grades depending on the needs of your child. If you’d like to see what other homeschooling parents had to say then check out the TOS Homeschool Crew Review blog. Are your children bored with science? Do you just need a change of pace? Need a break from the regular school grind? Well then, look no further than Go Science DVD’s hosted by Ben Roy. 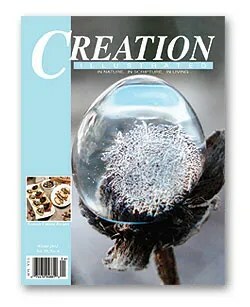 Unlike, some DVD’s all the experiments points to the Creator of all and are based in Creation of the Bible. The DVD’s are engaging and even held my rapt attention for most of the experiments, my 5 year old loved them while my 10 year old seemed like she lost interest as Ben talks like he is talking to a young child and not to a child who is older. My 7 year old didn’t really give me her feedback, but she did watch and seemed intrigued. These would make a great supplement or as a way to still get some educational time in if mom is sick or the day just needs a break away from ‘regular’ school. Most of these experiments are not really meant to be repeated at home – some could be however some need expensive and not easily obtained equipment – so it’s more of a watch and learn DVD than a give you the directions to do the experiment. The explanations are included in his demonstration, so at first I was a little lost and had to rewind and see what I missed – but once I paid attention I realized he wrapped the explanation into the whole experiment. I especially appreciated how everything he did related back to the Lord and one can tell that he loves the Lord as well as enjoys science. If you’d like to see what others had to say about these and the other DVD’s visit the TOS Review Crew blog. ****Disclaimer: As a member of the TOS Crew, I received this product, at no cost to me, in exchange for my honest review. All opinions are mine.